I realized something lovely yesterday. Over the course of a few months, I'm going to see 90% of the people I love. My bestie R was here last weekend, G&K (with a side of M) from college are visiting this weekend, I had a DC-roomie reunion the last weekend of January, and next month includes a reunion in Baltimore, followed by a visit to my sister in Philly and home to Boston for Easter. Now that you have my full life schedule, please join me in feeling grateful for all the wonderful people in the world. 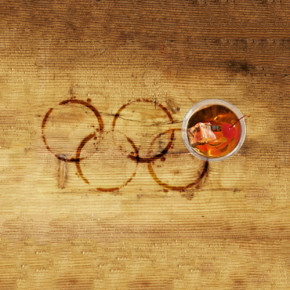 So who has been following the Olympics? D and I don't have cable, which 99% of the time is amazing, but is a real bummer during athletic events. If you're following along, have more fun with this. If you're prepping for Canada v USA, this video will get you in the spirit. Is there anyone in my network (that would be you) that understands travel hacking and slow travel? I'm deeply intrigued. I'd say I'm pretty much always in the market for interesting workout programs. This "netflix for your body" idea is something I may try next month. For all my bougie boozy friends, this article is a fascinating read.